Fishing the Savage River Tailwater: I recommend the use of long rods, 9-10 feet in #3-5 weight, floating lines and generally 9 foot leaders suited to the size of the Fly you are using. The Savage tailwater is a high gradient stream with a lot of structure in the form of rocks and large boulders. Pocket water and fast runs comprise about 90% of the river, so the long rods provide some advantage for reaching and the use of high sticking for both nymphing and dry fly fishing. With all of the structure making for multiple, diverging currents, it is difficult to get a drag free drift without using these long rods and high sticking techniques. And, unfortunately the wild brown trout in this river are very sensitive to drag. I can't emphasize this enough....if you see refusals, or what appears to be the trout "missing" your fly...it is most likely because your fly is dragging against the current or micro-current. The good news is that with all of the structure in the river, you are never very far from a wild trout...there really are no real dead spots in the river. In the slower, quieter water and pools you may have to add some tippet...and with midges and small flies, go down to 7x and 12--14 feet of total leader/tippet. For those who are streamer addicts or love to fish very large flies you probably have the best shot at some of the monster Browns who live here....mid 20 inch fish. As far as flow level....60 to 120 ccs seems to be ideal for dry fly fishing. Higher levels up to 500 cfs can fish good with nymphs and streamers. Just fish the edges and be careful wading. The river is usually clear even at these higher levels which sometimes produce the larger fish. Just make sure you get your fly down deep along side structure and in the seams between slow and fast water. Most all of the Eastern hatches are here. Generally, they occur a couple of weeks later on the Savage River Tailwater than the hatches on the surrounding free stone streams. But many seem to run for longer period of time, e.g. the Blue Quills starting in April and may continue hatching into early summer and overlap with Baetis, Sulphurs, Caddis, March Browns and other may fly hatches. 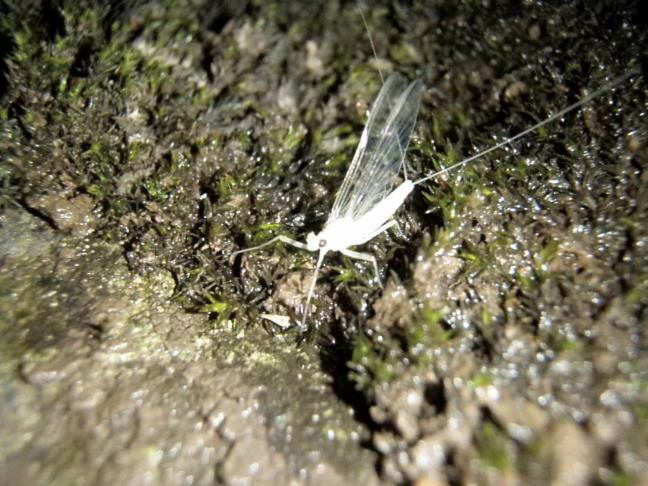 Midges are a constant source of trout food all year, with some very intense hatches occurring in May.